A post on Zythophile's blog about someone brewing Belgian ales that go with Japanese dishes got me thinking about beer and food pairing. The idea of matching beer with food always reminds me of Andy Capp in the famous Geordie comic strip saying to his long-suffering wife Flo, "How many times do I have to tell you? Pale ale with fish, brown ale with meat!" You can overdo it of course, but there are foods that go particularly well with beer. A pint of bitter and a pork pie is my own favourite, closely followed by a pint of mild and a cheese and onion bap. Graham Greene in the memoir of A Sort of Life describes the simple pleasure of stopping at an inn for bread and cheese and a glass of bitter. The supper of kidneys, toasted cheese and milk stout that Captain Mainwaring, Sergeant Wilson and Corporal Jones enjoy in Dad's Army looks pretty appetising too. I opened a bottle of Russian Imperial Stout which I won at a Stockport CAMRA do earlier. Tsar from the Buxton Brewery is more brown than black, despite what the photo below looks like. Most stouts have a coffeeish aftertaste; Tsar has it in spades in the aroma and up front when you take the first sip. It also drinks a lot lighter than its 9.5% strength. It's quite ironic that a Derbyshire brewery is brewing a Russian Imperial Stout - Thornbridge in Bakewell also brew one - given that strong London porters really broke into the Baltic market in the 1820's after tariffs ended the export of Burton ale to St Petersburg. Two CAMRA publications dropped through my letter box this morning, Beer magazine and What's Brewing? These debates are endless because no conclusion is possible. With craft beer, it's like the bit in Alice Through the Looking-Glass where Humpty Dumpty says "When I use a word,it means just what I choose it to mean—neither more nor less. "; with Wetherspoon's and Guinness it's a question of personal preference. * The answers are: there's no such thing; because most of them are soulless barns full of geriatric alcoholics; it's keg. I'm pleased to see that Elland 1872 Porter has been chosen as the CAMRA Champion Winter Beer of Britain at the National Winter Ales Festival which began today in Manchester. 1872 Porter from the Elland Brewery in West Yorkshire is a beer I've drunk many times, both at beer festivals and in pubs. It's got a lovely, liquoricey bitterness to it that really goes with the more roasty flavours you associate with stout. And at 6.5% you certainly know when you've had a few pints of it. Anheuser-Busch InBev have lost their legal bid to stop the Czech brewery Budvar using the name Budweiser in the UK with the Supreme Court ruling that Budvar can continue using the name here alongside AB-InBev's beer (in the US, they have to sell it as Czechvar). I think the best word to describe AB-InBev's legal attempts to stop Budvar using the name Budweiser is chutzpah. Front, nerve and brass neck too. Budweiser means "from Budweis", the German name for České Budějovice, the Bohemian city where beer has been brewed since the 13th century. Adolph Busch started brewing his Budweiser beer in St Louis in 1876. It's not as if anyone is going to confuse the two, certainly not if they drink them. The London Underground is celebrating its 150th birthday this month. The Football Association is also preparing to mark the 150th anniversary of its first meeting in October 1863. More important than either of these two though is another milestone: 1863 is when Hydes started brewing in Manchester. They now brew a beer called 1863 that they claim is a bitter but I'm pretty sure is a rebadged light mild. 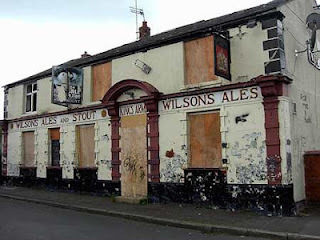 I'm going to one of Hydes' flagship pubs at the weekend and will raise a pint to toast their birthday. People in areas of North Manchester and Salford are now living in "extreme poverty" according to a new report. Harpurhey in North Manchester and Langworthy in Salford are amongst the country's most deprived wards in terms of joblessness, income and crime. The report's recommendations - free public transport for the unemployed, more help with food and energy costs and a living wage - are all fine as far as they go but poverty in Manchester and Salford has structural roots as well. The truth is that nothing has replaced the engineering factories and docks that closed down here in the 70's and 80's. You can see that if you walk round some of these areas and look at the boarded up houses, shops and pubs. The only long-term answer is for the Government to invest in jobs and housing. The wicketkeeper of the England women's cricket team is set to play for a county side, the first time a woman has played in the professional men's game. Sarah Taylor is in talks with Sussex CCC to become the back-up wicketkeeper for the county's Second XI this summer. 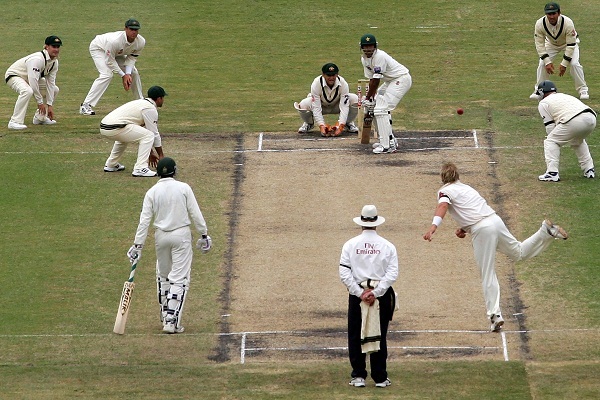 Cricket is one of those games where the division between men and women has never made much sense. 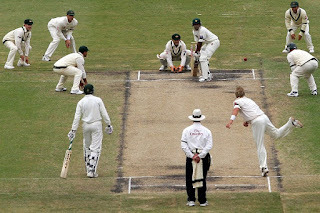 Apart from adjusting to the faster bowling, there shouldn't really be any problem as far as I can see. In fact, apart from full contact sports such as rugby and American football and others like swimming and athletics where body size is a factor, it's hard to see women not being able to compete alongside men at top level given the right coaching and support. Someone once told me that any male tennis player in the top 100 could easily beat the top woman but I'm not sure how true that is. 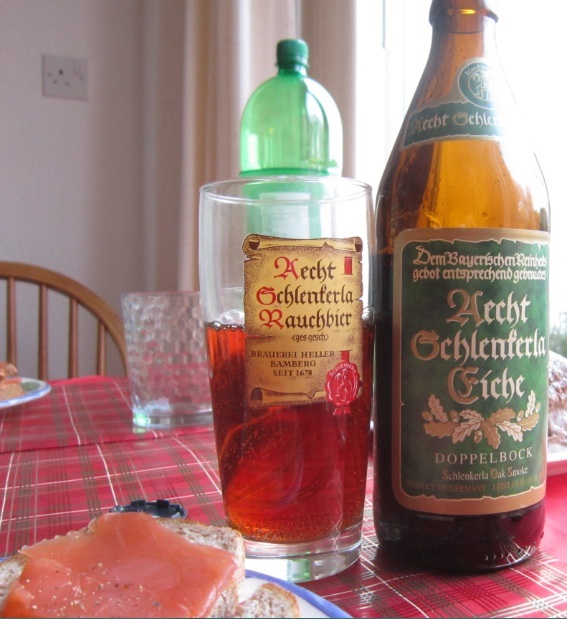 I had a taste of Schlenkerla Rauchbierschnapps yesterday from the bottle I bought in their Bamberg brewpub last summer. It's nothing like any of the schnapps I've drunk before. The kick of the spirit is infused with the smokiness of beechwood malt. Like their beer, I suppose you either love it or hate. A bottle of Schlenkerla Rauchmärzen makes for a great chaser with it. I've just been watching a DVD I got for Christmas, The Life of Riley about bluesman B.B. King. Having read B.B. 's autobiography Blues All Around Me I knew most of the stuff about his early life and career but there are plenty of other gems in it, including interviews with fellow blues guitarists Buddy Guy and Peter Green paying tribute and acknowledging his influence on their sound. The most moving bit though is right at the end where a tearful B.B. stands next to the Governor of Mississippi in the state legislature as 15th February is declared B.B. King Day. You can imagine what's going through his mind in a building that as a young man he would probably have been beaten up, if not worse, just for entering. B.B. 's isn't the only eye it brought a tear to. As usual, I spent a large part of Christmas with my head in a book someone bought me. Take Me Out to the Ballpark by Josh Leventhal is an illustrated guide to major and minor league ballparks of the past and present. It also has sections on things like ballpark food, souvenirs and how the architecture of baseball's cathedrals has changed over the decades. There are basically three generations of ballparks: the idiosyncratic wood and brick "jewel boxes" built in the early twentieth century, the indentical, concrete, doughnut-shaped "cookie cutters" that largely replaced them in the 1970's and the "retro ballparks" that have sprung up across the major leagues in the last twenty years incorporating many of the features of the originals. 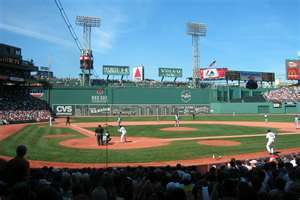 My first trip to the US in 2002, a baseball tour along the East Coast, took in games at all three types of ballpark, the retro Camden Yards in Baltimore, the "cookie cutter" Veterans Stadium in Philadelphia and the ultimate "jewel box", Fenway Park in Boston. Fenway is still my favourite ballpark notwithstanding a later trip to Wrigley Field in Chicago - its small size gives it a wonderful intimacy, like watching a baseball game in your front room. I also have a lingering afffection for the now demolished Shea Stadium in New York which despite being a "cookie cutter" had a lot more atmosphere than Veterans Stadium, mainly because the outfield wasn't enclosed by seating and you could practically wave to the pilots of planes landing at nearby La Guardia Airport. As well as Shea Stadium, Veterans Stadium and Yankee Stadium have also been bulldozed since that 2002 trip and replaced by retro ballparks. I might have to add the US East Cost to the list of places I need to go to again. I rounded off my festive drinking with another beer I hadn't tried before, Guinness Special Export Stout. I've drunk Guinness Foreign Extra Stout before. 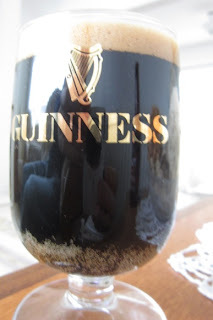 Special Extra Stout is the 8% version brewed by Guinness for the Belgian market (David Hughes in A Bottle of Guinness Please explains how that anomaly came about). Special Export Stout is quite like Foreign Extra Stout in having a smooth, velvety mouthfeel which reminded me of Graham Greene in Brighton Rock describing a woman singing in a pub as having a "rich Guinness voice". 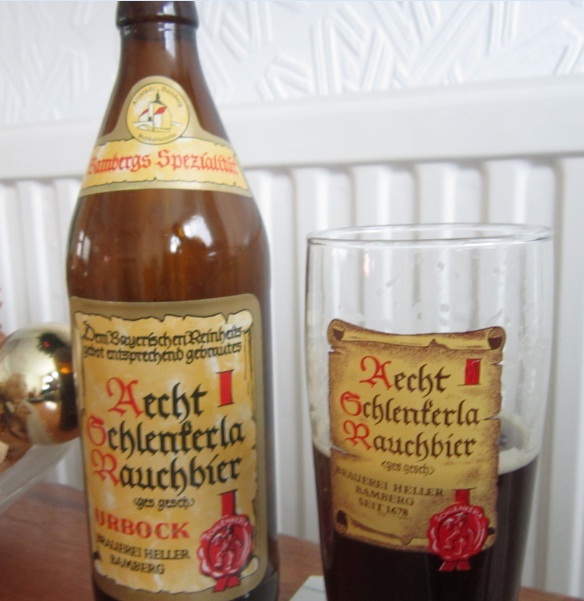 As well as Eiche, I drank another Schlenkerla beer for the first time over Christmas, the 6.5% Urbock. If you think Schlenkerla Märzen is a bit too smoky then Urbock definitely isn't the beer for you. The smokiness hits you as soon as you pop the cap of the bottle - drinking it is like sticking your head in the embers of a bonfire (probably not a good idea). I'd love to try it in Schlenkerla's Bamberg brewpub in winter when it's available straight from the barrel. I started my Christmas beer drinking with Schlenkerla Eiche. 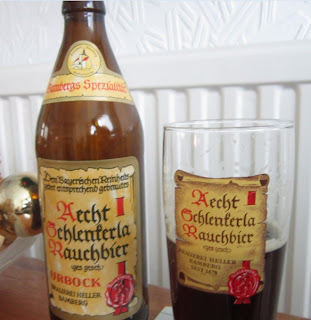 Eiche is German for oak which the malt is smoked over rather than beechwood in Schlenkerla's other beers. I like the smoky bacon punch you get with Schlenkerla Märzen but I know it's too much for some. This is far more restrained, a hint of smokiness in the aftertaste rather than a smack round the chops. It reminded me a bit of the draught Lagerbier in another Bamberg pub, Brauerei Spezial.